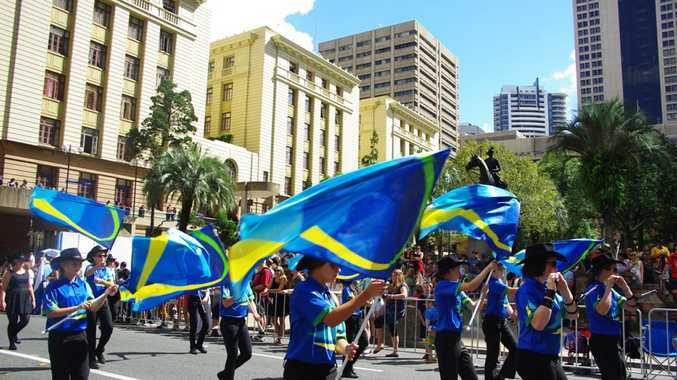 TANNUM Sands State High School's marching band participated in the recent Anzac Day parade in Brisbane. The school said the students made them proud and highlighted the region's incredible musical talent to the wider community. Band members demonstrated exemplary behaviour and showed not only Brisbane, but the rest of the state, the musical talent the school had to offer. The students, who included the symphonic band, string orchestra and stage band, also performed on the Tuesday of that week at the Queen Street Mall and on Wednesday at Dreamworld on the Gold Coast. They also enjoyed some time out at a variety of other events. To help streamline the look for the band, Boyne Tannum RSL and TSSHS P&C pooled resources to purchase Aussie akubra hats for them to march in. "The school band have marched at our local Anzac Day service at Boyne Island for many years, so to see this develop is a credit to the school," P&C president Ms Dimkovska said. The school thanked the teachers and helpers, including parents, who volunteered their time to make the trip possible.